Update: the winners have been announced! Welcome to our new community contest! We’ll be going back to medieval times to explore castles, medieval towns, knights, and perhaps… dragons? Anything is possible in this Medieval Fantasy! This is a contest with a twist: we’ve teamed up with the amazing people of Mozilla, who are working hard on their A-Frame WebVR platform – a web framework for building interactive virtual reality experiences. We’re combining the power of our two communities to create amazing WebVR scenes. 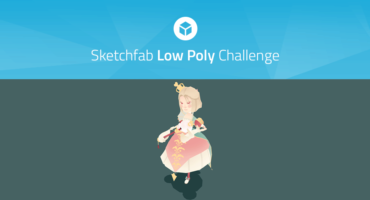 In this contest, you, the Sketchfab community will create gorgeous real-time assets. The Mozilla A-Frame community can then use them in their projects and showcases. Create a set of real-time assets in a medieval theme that can be combined with assets from other participants. You’re free to choose your focus, for example you could build modular assets for a castle environment, props to be used in your world, characters, weapons, animals etc. Display your own building assets in a final presentation piece. Thanks to Mozilla, we’re able to offer the biggest prize pot you’ve seen on Sketchfab to date! You can win a VR-ready laptop (a real powerhouse: 32GB, GTX1070 card – you’ll love it! ), VR headsets, a Wacom tablet and much more. The first 100 participants to open a ‘Work in Progress’ topic on our contest forum will also receive an exclusive Mozilla/Sketchfab Medieval Fantasy Cardboard viewer! So we’re throwing down the gauntlet: do you have what it takes to create a Medieval Fantasy? As the goal of this contest is to create assets for the Mozilla A-Frame community, we want to make sure all building blocks will have the same visual style that ‘works together’. So we’ve put together a visual style guide that should to stick to. When in doubt ask us for guidance on the contest forum (see under ‘How to participate’). Elements you should pay special attention to are the character and style of the assets and the color palette. Our first prize includes everything you need to get started with VR: an MSI GE63VR Raider-001 VR-Ready laptop, and an Oculus Rift VR Headset with 2 Touch controllers and 2 Sensors. With an i7-7700HQ processor, a GTX 1070 video card and 32GB of RAM this beast will also be an excellent workstation for all your 3D modeling and rendering! You’ll also receive a super cute Firefox plush toy, and your choice of a Sketchfab or Mozilla hoodie + T-shirt. 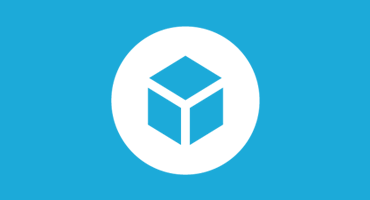 Finally, we’ll add 12 months of Sketchfab PRO to your account! Our second prize winner will receive a complete Oculus Rift VR set, consisting of a headset, 2 Touch controllers and 2 Sensors. Just plug it in to your workstation and you’re ready to enter VR! You’ll also receive a super cute Firefox plush toy, and your choice of a Sketchfab or Mozilla hoodie + T-shirt. We’ll also add 6 months of Sketchfab PRO to your account. Our third prize winner gets a fabulous medium-sized Wacom Intuos PRO tablet that will surely make your 3D design work more comfortable. You’ll also receive a super cute Firefox plush toy, and your choice of a Sketchfab or Mozilla T-shirt. We’re adding 3 months of Sketchfab PRO to your account. 10 runners will receive a collection of Sketchfab and Mozilla swag – like T-shirts, hoodies, and stickers. On top of this, the first 100 participants will receive a Medieval Fantasies Cardboard. To qualify, start a ‘Work in Progress’ topic in the Medieval Fantasy contest forum (see below). Once you’ve posted your first substantial update we’ll contact you for your details. Liz Edwards is a VR artist and Tilt Brush Artist in Residence. Elliott Mitchell, Co-Founder of Vermont Digital Arts, is a VR / AR artist and developer based in Vermont and Boston, MA. Besides just launching a top 10 ranking word game, Waggle Words AR, on the App Store, Elliott has worked on groundbreaking VR projects such as Bjork Digital (River Studio), Styles and Customs of the 2020’s (Scatter) and the Leviathan Project (WONDROS). Joshua Marinacci – O’Reilly author, UX wonk, and recovering engineer; Josh is a senior developer evangelist at Mozilla, working on Mixed Reality for the Web. Christopher Van Wiemeersch got his start in making sites for film companies and indie startups. At Mozilla, he now designs for developers making web apps, browser extensions, and Virtual Reality. To enter this contest, create a scene in the described visual style of Kevin Pauly’s work and theme. Build as many reusable components for it as you can. (For example: if you create a castle scene, provide blocks for walls, floors, doors etc.). Start your own topic in the Medieval Fantasy contest forum to document your work in progress. When in doubt about the visual style etc, feel free to ask us for feedback on your entry. We’ll also be posting contest updates on this forum. Publish the fully composed scene that leverages all your assets and tag it with #MedievalFantasyScene. Publish each asset as a downloadable file (remember, the Mozilla people are going to pick and choose from our contest’s results for their own contest later this year). Make them available for download under a Creative Commons Attribution license (“CC-BY”), and tag with #MedievalFantasyAssets. The Creative Commons Attribution licence (also known as CC-BY), ensures that artists are free to use and build upon your work. The only requirement is that they properly credit you, and that they indicate if any changes were made. The resulting work does NOT need to be released as Creative Commons. For in-depth information, please visit the Creative Commons website. For individual assets, aim for a 2k polygon budget and 512×512 texture maps (if you really need larger texture maps, be sure to always use ‘power of two’ sizes like 1024×1024 etc). The total polygon budget for the assembled scene is 50k. Try to keep the number of objects small as possible. You could merge static meshes and use a unique texture for all of them. For example if modelling a house, you will have a whole mesh and a texture for the structure itself and then independent meshes for movable objects like chairs, tables and so on. Use static lighting and bake ambient occlusion and lightmaps if needed for your scene. Use a PBR metalness workflow to set up your materials. For scale, assume 1 unit = 1 meter in VR. Sound and animation are optional. If you use sound, please include all .mp3 files in your original upload as it will not be in the GLTF download. Make sure your assembled scene is easy to navigate using teleportation. Contestants models must be uploaded to Sketchfab and tagged #MedievalFantasyScene and #MedievalFantasyAssets to be considered. The winners will be contacted by Friday, November 10. Cool contest!! based on the prizes I was wondering if it was international and how would that work out. Hey Juan, thanks! Yes, it’s fully international. Good luck! Hi! that is cool. Now, I have a small problem. I have already uploaded 2 models but the scale is off. In maya, I even used the measure tools, so I know they have the correct measurements. But when I go to the VR configuration in the 3D Settings, the models are, or too small, or too big. How should I upload the mesh to get the correct scale?? Great initiative, the prizes and the theme are good and I was really enjoying the idea of making a great cartoon city with “something” beneath the mountains ! Btw, and I’m sorry for my honesty but it’s so sad that the visual style is mendatory and so dull. Sketchfab is such a great tool for presenting quality 3D works that it’s a shame to be obliged to do something so ugly with it! In addition, for me giving all my assets for free doesn’t help to sell this contest. Btw I like what your making guys, It’s only my own opinion. I will not participate for this one and I just wanted to share my thoughs about it with the community. We’ll be happy to help you out with any specific questions you may have. Please post them on the contest forum! As I understand the whole idea, the design/style should match. And the human figurines gotta be more or less identical in our models. Do we have to make em from scratch looking and the reference (they are simple, won’t take much), or there is a template file with a regular person to build on? We still offer a fair degree of creative freedom, as long as the general ‘visual style’ matches the examples, you’ll be fine. There are no templates to work from. Does geometry matter other than the polycount? You mean topology? It probably goes hand in hand – if you have simple, clean topology it will perform well in a real-time environment. Yes I guess I do mean topology. I use Moi3d a lot and it outputs nice meshes for static models but lacks the edge loops needed for deformation. Is it OK to model in this way? It looks like it would fit with the type of style shown in the illustrations. If I make a few objects and post them here would someone be good enough to tell me if I should stop? You can participate but if you’re a minor, you need to get approval from your parents before sharing your address with us. from where i can start this contest? In the requirements section, by “static lighting” you mean that when I assemble my scene on sketchfab the light should be attached to the camera? Or do I have to bake it in the diffuse map? (e.g. bake all my lights outside sketchfab and upload all my models as “shadeless”?) Or can i use both this methods? To be honest, I think this rule won’t be enforced. It’s best to submit model unlit so that they can be used in any kind of environment. Hello, it seems I’m awfully late but nevertheless i’m still interested to attempt! If i may ask, is the theme only tied to the Medieval era of European region or are other regions allowed too? Would medieval feudal Japan fit into this brief?